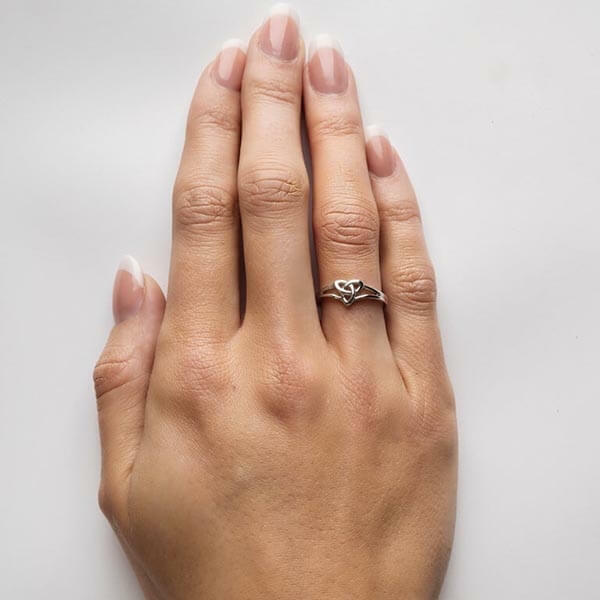 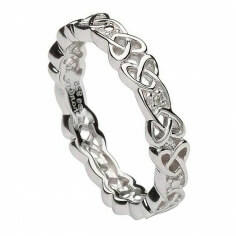 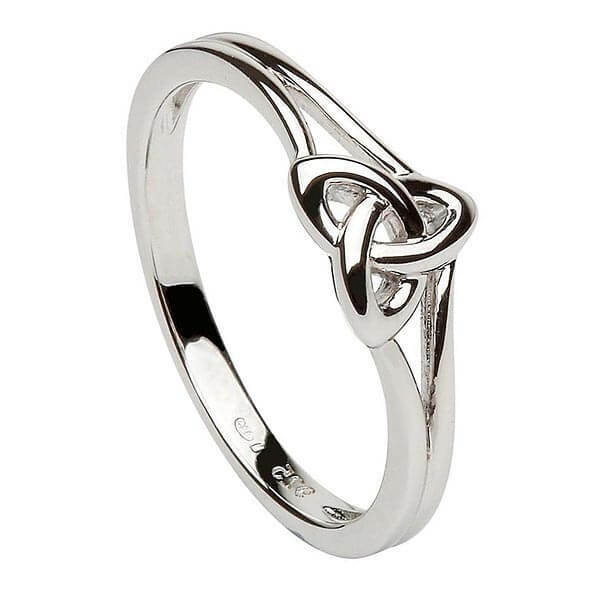 Simple, yet elegant in design, the women's Trinity Knot Ring is crafted from the finest Sterling silver and features a slim profile that transitions seamlessly into the classic Trinity knot emblem. 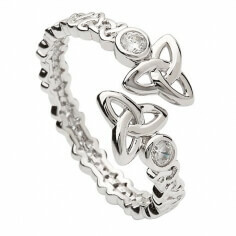 Thought to represent the three Celtic goddesses. Handcrafted by highly skilled Irish artisans and hallmarked by the government-run Assay Office in Dublin Castle.